Colour packets- saffron and green- featuring pictures of Prime Minister Modi are being sold. 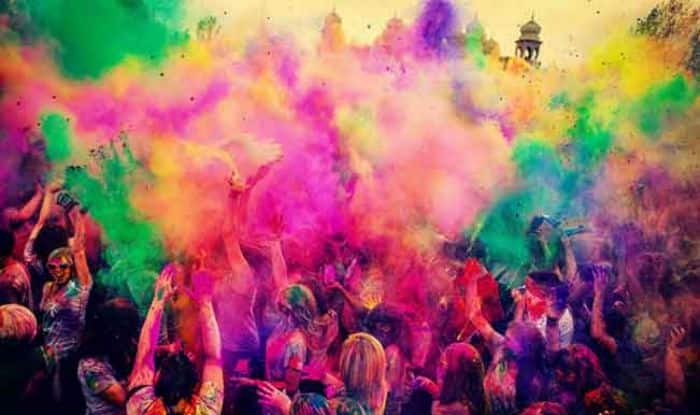 New Delhi: The Bharatiya Janata Party (BJP) is looking forward to celebrating the festival of colours while campaigning for the upcoming polls. The saffron party is all set to reach out to the masses through packets of ‘Shaurya Gulaal’. These packets of Gulaal (coloured powder) labelled ‘Shaurya Rangotsav’ are being sold at the Atal Sahitya Kendra inside the party office in Jaipur. The colour packets being sold – saffron and green- feature pictures of Prime Minister Modi. BJP’s catchy slogans such as ‘India first, Modi must’, ‘Shaurya se aai rangon ki bahaar phir ek baar Modi sarkaar’, ‘Modi hai toh mumkin hai’ as well as ‘chalo milkar rang udaayein, modi sang holi manaayein’ are printed on these packets. “The power of the things Modi ji says is such that it reaches crores of people within a matter of an hour. For example, as soon as the ‘Main Bhi Chowkidar’ campaign was announced, crores of people joined on Twitter,” said Rajasthan campaign chief Ashish Jain. Calling this Holi to be an important one as it is just prior to the Lok Sabha polls, Jain said the Gulaal has been named as ‘Shaurya’ as it signifies bravery and aims to spread the message of Prime Minister Narendra Modi’s courage to take “brave decisions” like the 2016 surgical strike, airstrike in Pakistan’s Balakot, among several others.